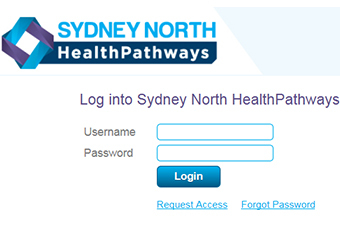 The Sydney North HealthPathways login details have been sent to Every GP practice within our region. If you are a GP or Practice Nurse and have not received login details, please contact the Sydney North HealthPathways Team today by sending an email at healthpathways@snhn.or.au. There is no cost to clinicians to use our Healthpathways website. The initial focus for Sydney North Health Network, is on ensuring local General Practitioners, and nurses in general practice, are aware of HealthPathways and have access to our local service directory, being developed in parallel with new clinical and non-clinical pathways. The provision of access details is being followed-up with practice visits by our Primary Care Advancement Coordinators, who are providing additional support, if required. If you are a GP or Practice Nurse and you have not already received login details, please email healthpathways@snhn.or.au. You can read more about the program on our website.